The Blenheim fret, a classic traditional cast design with vertical bars and delicate form. 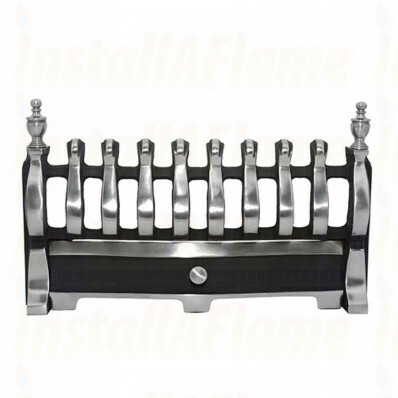 It features a slight bowed profile with two decorative finials and is designed to free stand in front of the fire and frame. 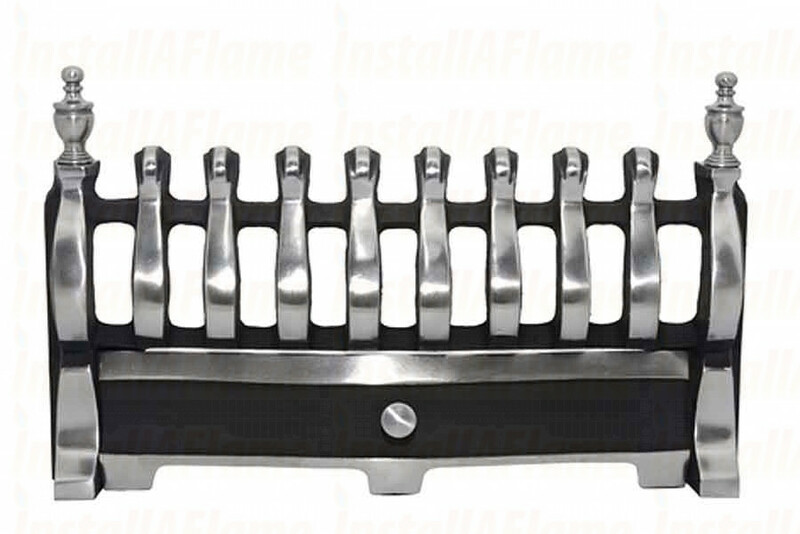 The 16 or 18 designation denotes the fire back size associated with the fire and not the actual size of the fret, do not assume the 16 as inches or length of the fret. Suitable for use with the Inset Gas fires, Hotboxes, Multiflues and Electric fires. Not suitable for solid-fuel use.